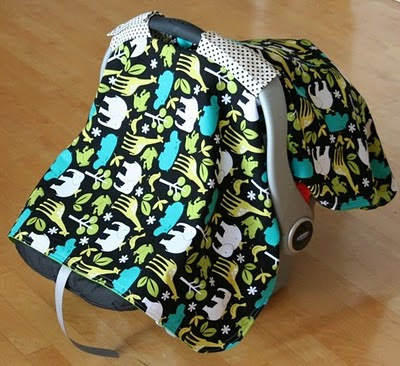 Cluck Cluck Sew has a great tutorial for an adorable - very very quick - car seat cover. For why? For chilly winter days (though I doubt there'll be all that many in sunny southern California). For it's crazy cute-ness (a-plenty). And for keeping strangers and grubby hands away (humph).